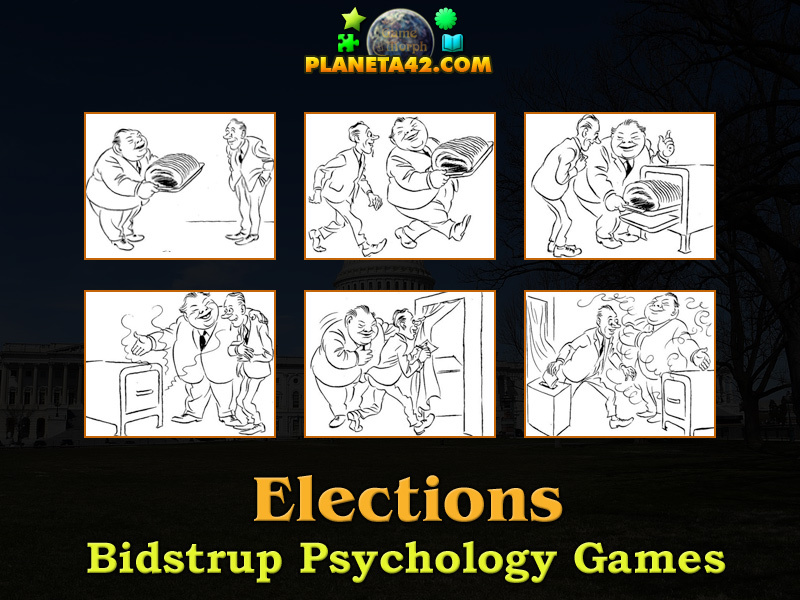 "Electorate" is a free online psychology game to explore and study the psychology of electorate with interactive Bidstrup cartoons. 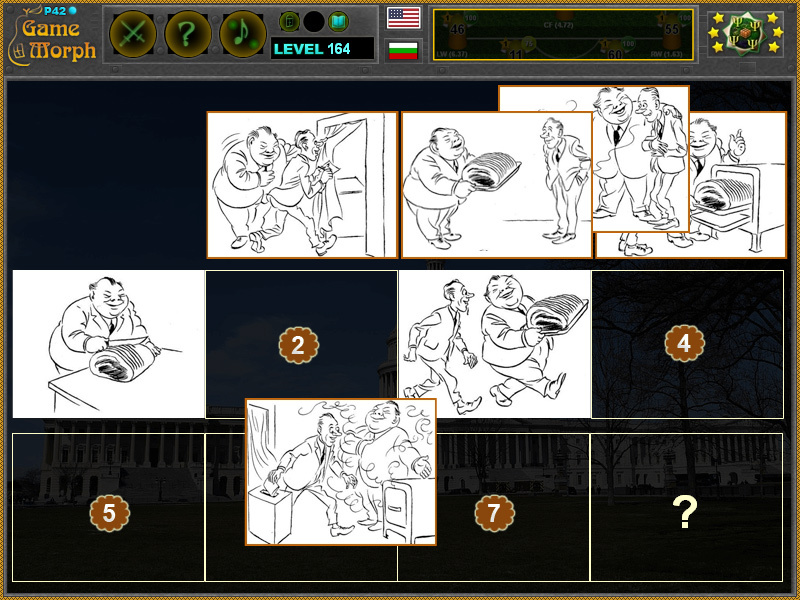 Sort the cartoon of the elections situation in numerical order to reveal the last scene. Fun educational psychology game, suitable for online lessons and interactive classes. Drag and drop the picture in the correct stage of the elections scene. Arrange the stages in correct sequence. Minute to win it game. Bidstrup tiles game. How to play Electorate Game. There are eight missing scenes in the middle of the screen. The first 7 scenes from the Bidstrup cartoon with fun elections situation are shuffled at the top of the screen. Drag and drop the pictures in the correct stage of the elections scene. Arrange the stages in correct sequence to reveal the last eight stage to complete the situation. Know the psychology of electorate and get +1 Knowledge Level. Class subject: Psychology of Electorate. People often think they are somehow lied after elections, but after all, there is at least a moment they are inspired and happy, while in tirany and dictatorship, they are always suppressed. An election is a formal group decision-making process by which a population chooses an individual to hold public office. Elections have been the usual mechanism by which modern representative democracy has operated since the 17th century.